Though metal mutant Colossus had appeared in previous X-Men movies fans were not that pleased with the interpretation of the character (as played by Daniel Cudmore) and hoped to see a more comic-accurate take in Tim Miller’s Deadpool. Before the ‘final design’ was found I tried a few different ways. 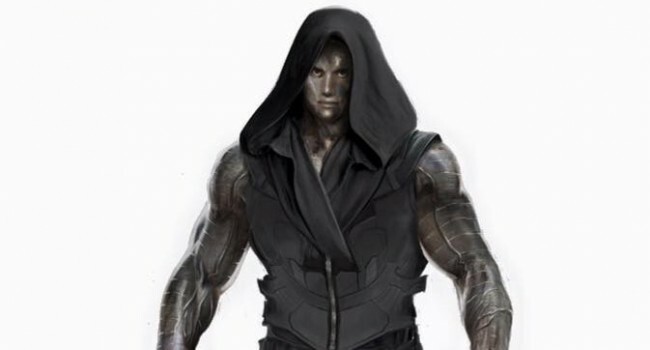 At that point of time I didn’t know if Colossus was planned as a ‘walking around in bright daylight’ character or more of a ‘hide in the shadows’ hero like in the old X-Men days. So I played around with a Darth Maul-hoodie and the idea to place the ‘X’ very subtle on his chest with the endings of his scarf. I also wanted to repeat the ripples in his arms with the design of the boots. …and a lot of possibilities to fix all the X-Men mansion keys at his pants. Did you know that some animals outsmart humans? IQ test and what makes some people smarter than others?